UC Browser for Android provides you fast and smooth Web surfing experience. It's a totally free app. Adaptable configuration helps you adjust your way of browsing under different network connections, allowing you to reduce data costs and speed up page loading with compression. 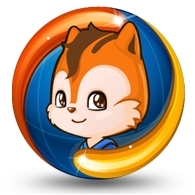 - The choice of 400 million users worldwide, UC Browser is definitely the most popular Web browser in the world. 1.UI Enhancement: Multiple start screens with the ability to organize your Web apps into folders. 2.Watch Offline: Keep your favorite videos from webpages in your phone. 3.Customized Themes and Wallpapers: You can change the way your UC Browser looks by downloading themes and wallpapers from the UC Theme Center. 4.Incognito Browsing: For your convenience and privacy, when you activate Incognito Browsing your browsing history will not be recorded. 5.Ad Blocking: Intelligent blocking of advertisements in WWW sites without breaking the layout of the webpages. 6.Screen Shot: Take screen shots of any webpages and scribble what you want to mark on the shots. "Best browser I've used in a while. I've tried dolphin, chrome, Firefox, boat browser, opera mini and many others and I could never find one that satisfied like dolphin used before its incredible performance slowdown. But now this browser is even better than dolphin was, currently loving it on HTC Rezound"
"Excellent! Finally a browser that actually works! I've downloaded so many other browsers that had so many different issues and they all don't measure up dolphin, opera, chrome, Firefox, to name a few. This I'd the complete package and it's so fast, look you don't have to take my word for it just download and see for yourself, it's extremely effective absolutely love it.... "